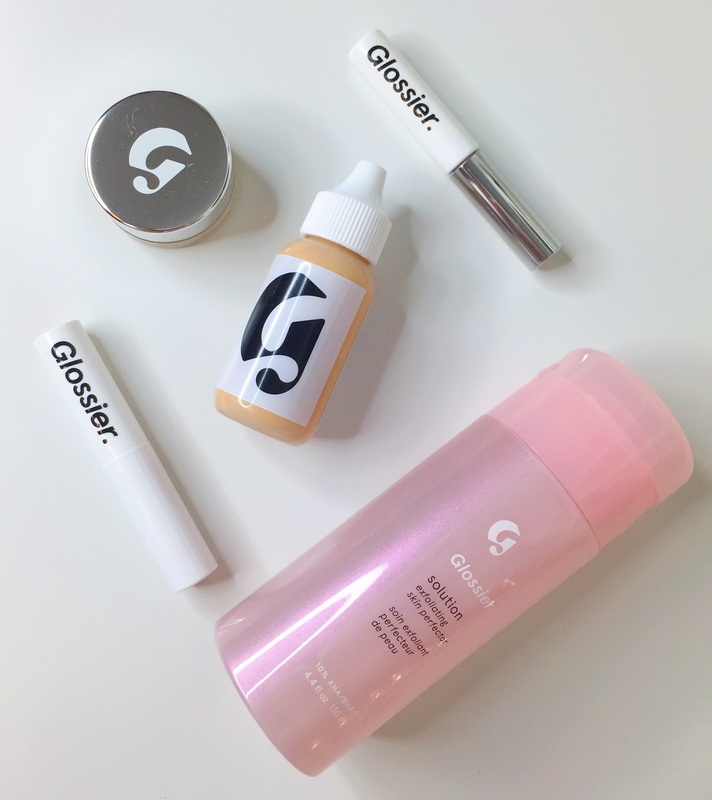 I feel like the love for Glossier has really blown up in the last few weeks. I'm not sure if it was the rave review in Elle magazine, the fact that every beauty influencer is talking about it or because it was discovered that Beyonce uses Boy Brow - and we all know, if it's good enough for B then it's good enough for us. Whatever the reason, it has taken over my social feeds like crazy. It's tempted me so much that I decided to finally make an order on January 25th 2018. My packages arrived on 29th January 2018. So a really good turn around postage wise. I spent a total of £66.60, and I received free shipping because I spent over £25. My order arrived in two boxes. They were packaged beautifully. I am currently in the process of testing these beauties out, so I will let you know my overall thoughts on these. However, from first impressions, the product packaging is incredible. It's simple and sleek and really represents the brand well. The price point is mid-ranged and I think it is very affordable. I would consider buying the sets so you can get more for your money. Especially if you want to try out more than one product. It's a great way to save some pennies too. Overall, I'm really happy with what I ordered. I'm extremely excited to test out what I purchased and I will do a thorough review which you can watch on my YouTube channel. Until then, if you want 10% off your first purchase click here for my code. (This isn't an affiliate code, everyone can get a code when they have created an account). You can watch my haul video here.